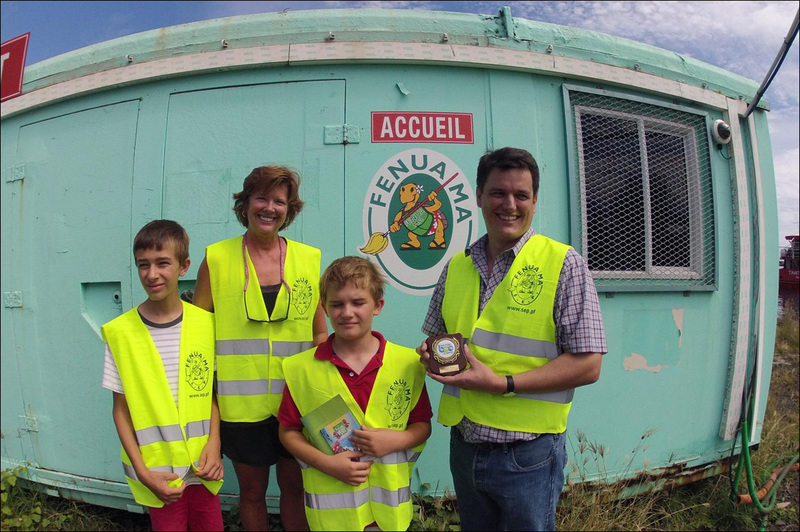 The Blue Planet Odyssey sailors visited the Fenua Ma recycling plant in Tahiti, part of environmental organisation Fenua Ma, the Société Environnement Polynésien, which aims to maximise recycling throughout French Polynesia as well as protecting the natural environment. 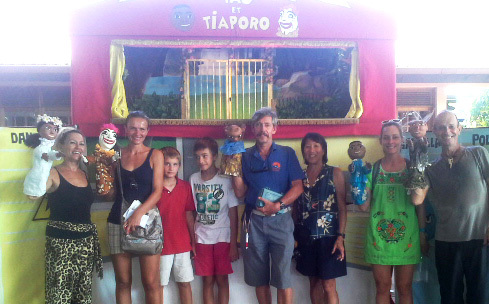 The visit included a puppet show which educates children about the importance of recycling their waste. Our Blue Planet Odyssey reps have organized a field trip to the Papeete recycling center and I’m a big proponent of recycling so I joined the excursion. I offered to take Martin and Marko from TAHAWUS because their parents had commitments but knew that it was a good school outing for them. The group assembled and loaded into cars with Benoit, the director of the recycling center for Tahiti. We arrived at the center and were given yellow vests in order to stand out for the trucks passing through the yard. Benoit gave a presentation on how the Polynesian islands are trying to reduce their carbon footprint with recycling. The island built their center in 1998 with it fully operational by 2000. 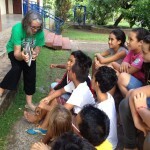 Since 2000 their recycling has gained momentum by educating the residents within the community. Several times a year there is a community event to bring in items such as light bulbs, appliances, ink cartridges and old TV’s. There are recycling points all over the city to drop off batteries, used oil and glass bottles. You can even bring an old cars, oil drums and wood and they will all be compacted for shipping. The center recycles paper, cardboard, plastic bottles, aluminum, juice and milk cartons with the trucks picking up almost daily from the residents and delivering to the center for sorting. The materials are then loaded onto a conveyor belt which moves up and onto a raised platform. There are employees stationed on both sides of the belt with assignments to remove either paper, plastic, aluminum or cardboard. Their sole responsibility is to remove one category such as paper and throw into dedicated bins which then drops onto the floor below them. By the end of the belt only 17% will go to the landfill. Once there is a substantial pile of material in the bins, then it moved by dozer onto another belt to a machine which compacts it into a large bundle. The bundles are prepared and stacked into shipping containers. Before the doors are latched, the bundles are sprayed with pest control liquid. The containers must be pest free when they arrive in a foreign country. 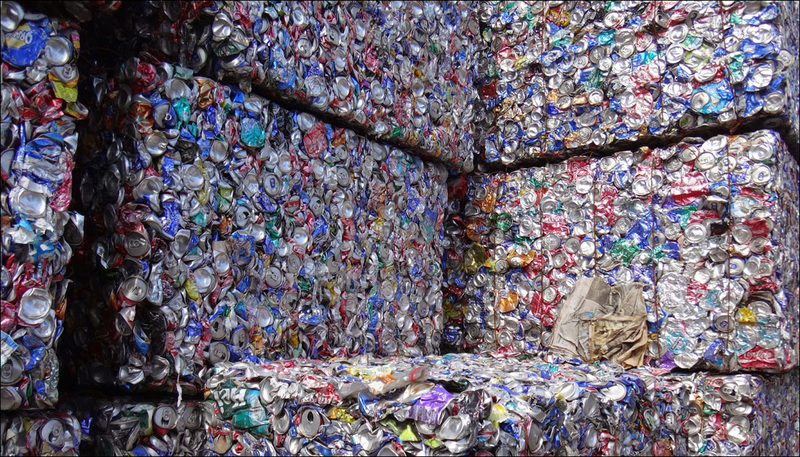 The plastic, aluminum, tin, cars, drums and batteries are shipped to New Zealand. The cardboard and paper are sent to Asia and the glass is ground into a fine sand and used as a filler behind retaining walls or under concrete slabs. 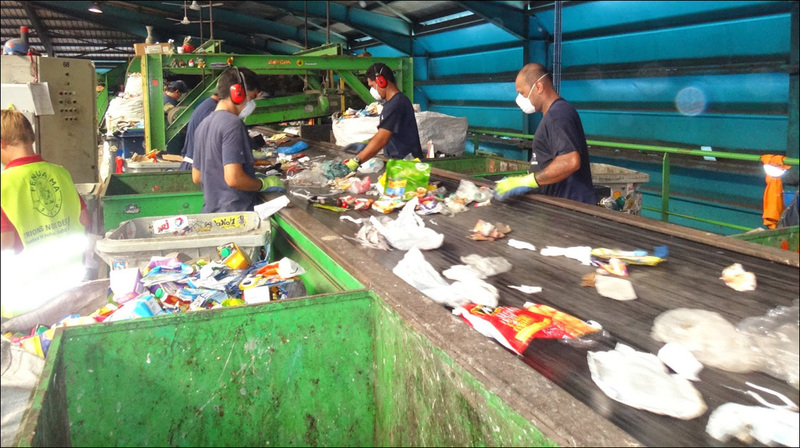 The whole recycling process was very interesting and impressive and the island has made great strides in controlling their waste. 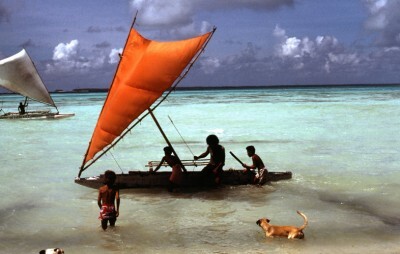 Tahiti is working with many of the islands in the area to help them organize a recycling campaign. Tahiti has the most sophisticated recycling system in the Pacific. It was interesting for members of the Blue Planet Odyssey to have a presentation and a visit to the plant led by the manager, who fortunately spoke good English. Part of his job is to provide incentives to families and businesses to recycle and sort garbage. This includes school programs to educate. The “green bins” are picked up and eventually the contents are placed on conveyor belts. They are then hand sorted into large bins beneath the workers. In France these workers last about 8 months but here many have been doing it for the 15 years they have been open. The usable waste is then compacted. The cubes of stacked colored cans are quite a sight. Also, the compacted cars after the batteries and fluids are removed. Products like the batteries are shipped to specialist facilities in New Zealand. Ground glass is used as a substitute for gravel under roads and retaining walls. I would be interested now to see all that we do at home.